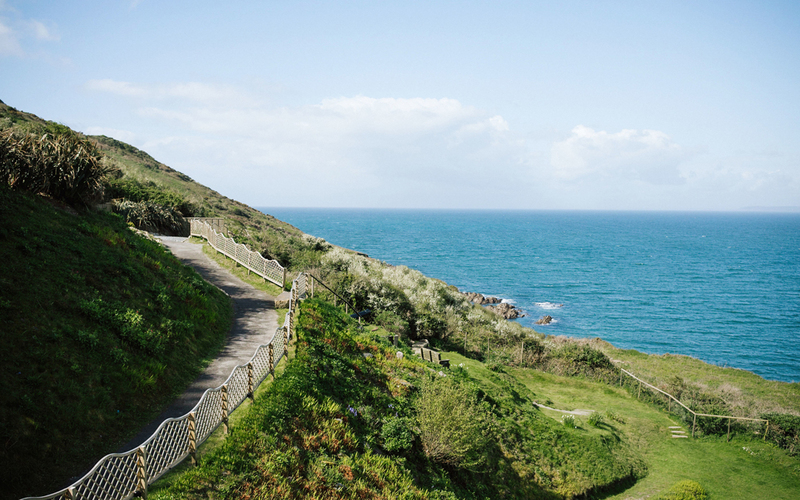 It’s a bit of a no brainer – a cliff-top fort in the South West of England standing tall amongst sweeping lawns. 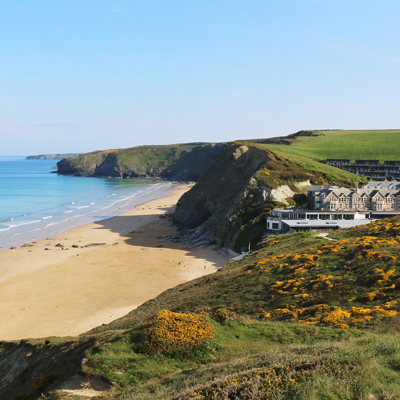 A secluded beach, Polhawn Cove sits below, with exclusive access. Stunning sea views lie beyond as if straight from the pages of a magical romantic novel. Polhawn Fort is on the south coast of Cornwall, just around the corner from Plymouth and within really easy reach of Devon and the West Country. Choose a whole weekend or a midweek break, it’s your call. Either way, the place is all yours for the duration. Polhawn Fort is a one-off, unique kind of place. It stands alone, quite literally. 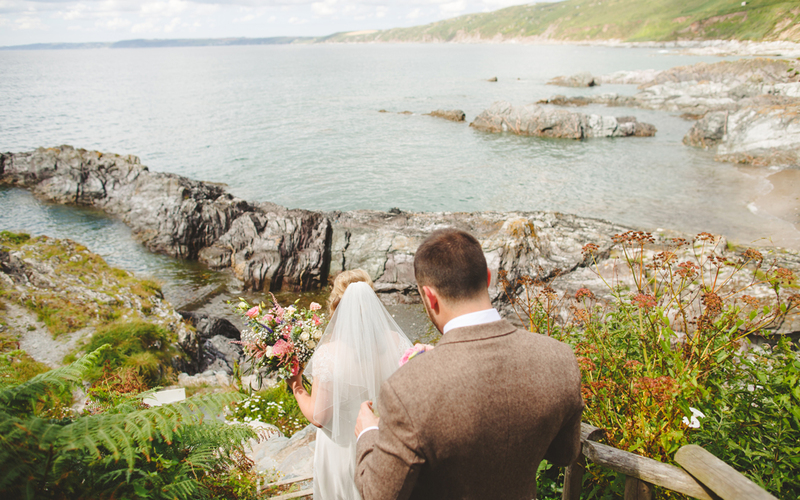 So if you’re looking for a coastal wedding venue to make your own, you’ve probably found it. Imagine a home-from-home vibe and you’re halfway there (if ‘home’ happens to be a Napoleonic fort, complete with drawbridge!). 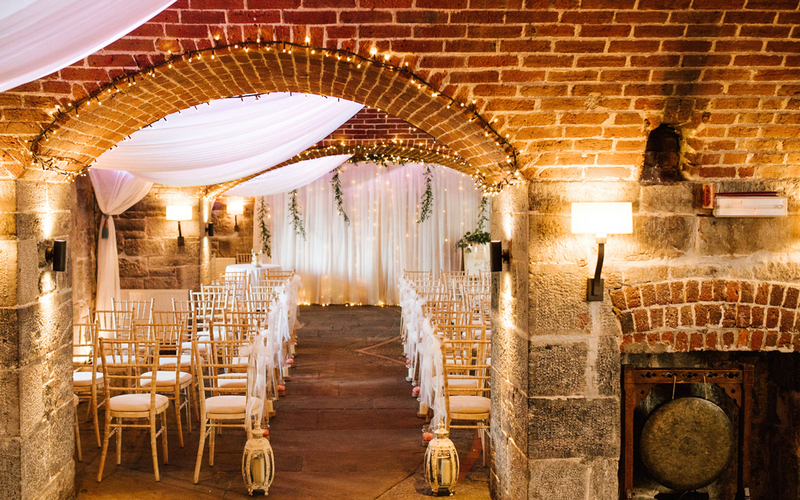 You can tie the knot in the grandest splendour inside the Fort or go for a more bohemian vibe out in the Summerhouse, with its endless coastal views. You’ll get your dream coastal wedding, however you roll. 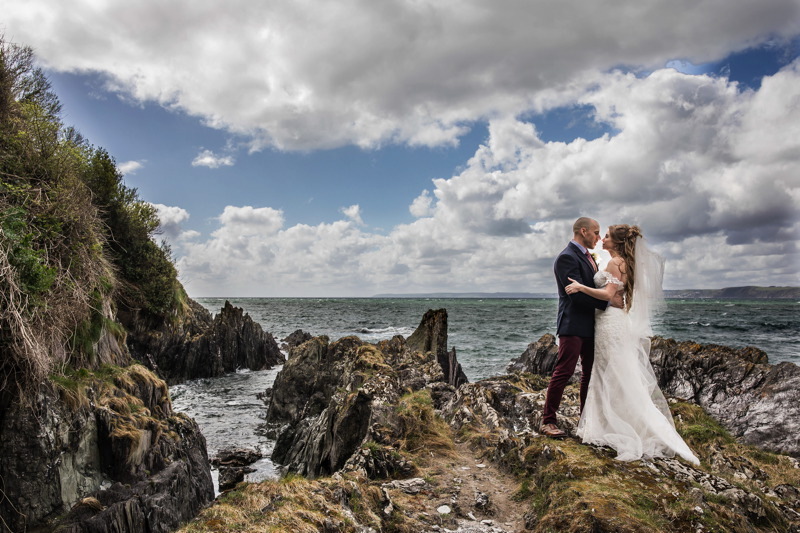 There’s a set of steps leading from the Fort directly down to their very own beach where you can steal a little private time together, frolic in the waves with your wedding guests and catch some very special memories – the sea views from the beach are almost surreal. 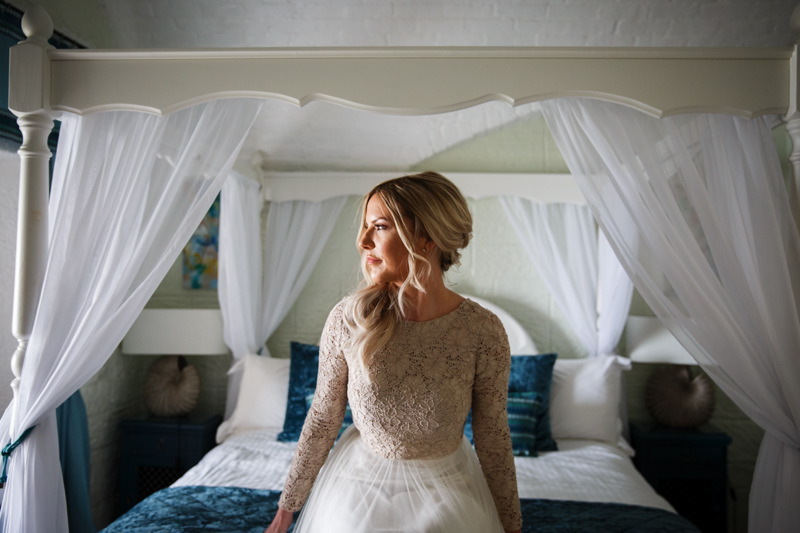 When it comes to your Wedding Day they encourage you to dream something up. Make it unique to you – after all, it’s the best day of your life! Your idea of the perfect wedding won’t be the same as the next persons; you might want a full-on bells and whistles wedding or something simple and quirky. 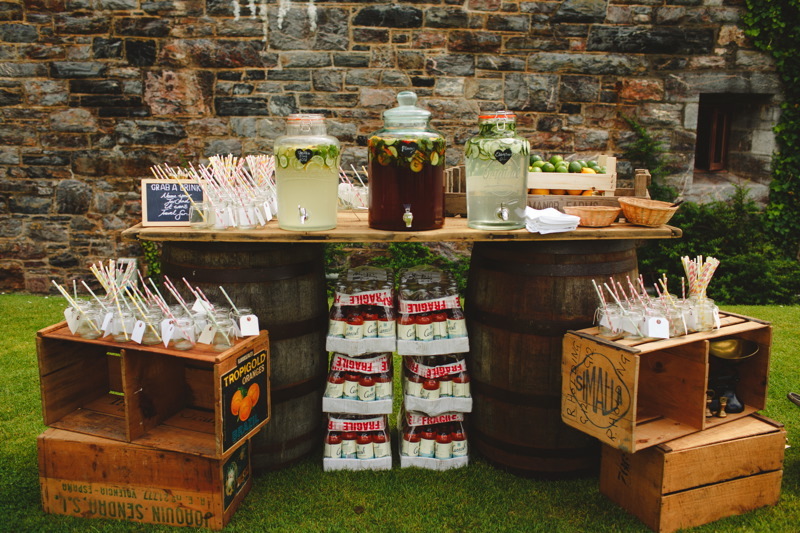 Tip-top caterers or their local fish and chip van, Polhawn Fort gives you the ingredients to whip up a unique wedding, that’s perfect to you. 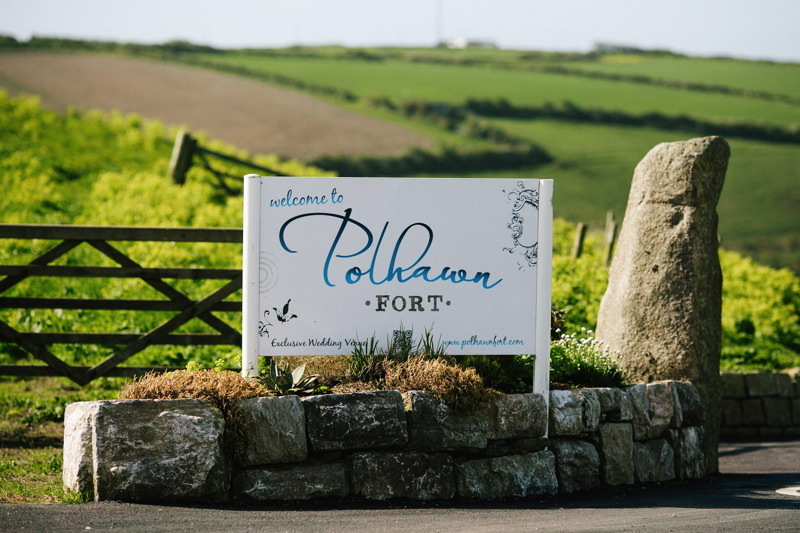 Special offers for Polhawn Fort never stick around for long, so if you are interested get in touch straight away! We have had the most amazing day ever and it's largely down to you guys. Thank you Sarah for knowing it was the place for us and gently convincing us to go forth. Thank you Gemma for your patience with endless questions and room juggling. Thank you Jim for all of your advice and calm voice on the day making everything happen like clockwork. The Fort is a special place and I am so glad we found it. All our guests are talking about it and it's wonders, so you will definitely have lots more interest from people as the good word is spread! We got married here in May and from the moment we first saw the venue we knew this was the only place we could get married. 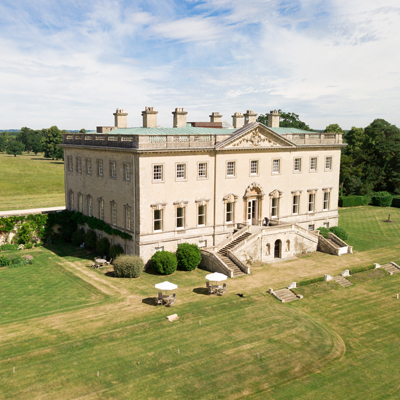 It is such a beautiful venue and was made even more special by being able to have the it all to ourselves for 5 days, with friends and family staying too. Another massive benefit is it's dog friendly and our two dogs had a great time roaming round the fort and on the beach! The people we spoke to were so helpful and their recommended suppliers are well worth a look. Even though we've only just got married, we're already discussing coming back for a wedding anniversary as it's such a special place! We got married at Polhawn Fort this year and simply do not have enough words to say how wonderful and amazing the Fort and staff were. From the first time we visited we were welcomed with open arms. No question was too much to answer and nothing was a problem. We couldn’t have chosen anywhere more perfect for our wedding day! We would relive it everyday if we could.